Edit – Puzzle 239 has been fixed. Apologies. The 2nd one of these might be really tough. The first one is around a medium difficulty for starters. Bram tested these and noted that a 12 would make the solve slightly more interesting towards the end than the 13 in the first one, and I agree with him, I just didn’t notice it before, so leaving it unchanged. The 2nd would require a good read of the rules to solve I think. 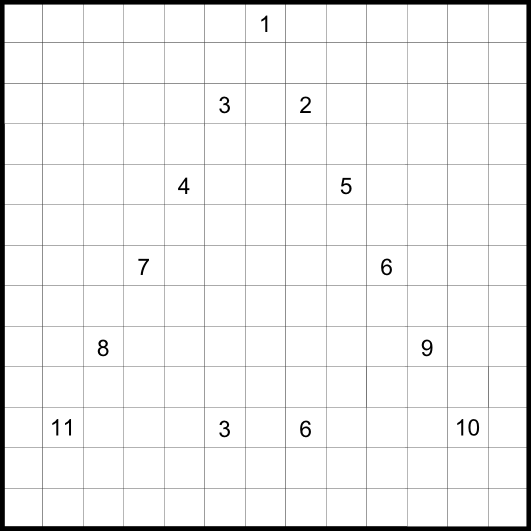 Rules – Follow regular Nurikabe rules, except that there can now be islands without given numbers. 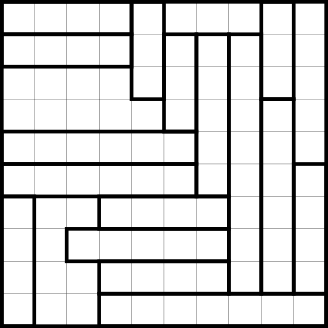 The number in the top left of a cage gives the sum of the sizes of the islands whose parts are contained in the cage. Every cage must have at least 2 different islands’ parts (not 2 parts from the same island) contained in it. 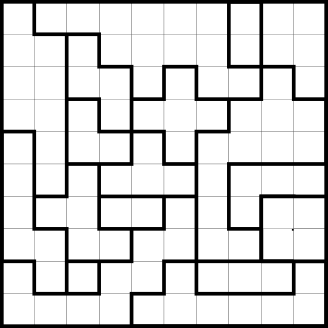 Yea yea, I know I just posted a Norinori variant before this, but this one was a reject from my latest batch of newspaper puzzles from yesterday. It was rejected for being too hard for the target audience, but it is still around easy-ish to medium for the regular puzzle solvers in my opinion. I’ll resume posting again from here, hopefully. Following up from my non-puzzle post, I am finally fine. 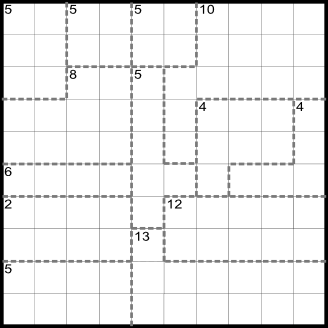 Ignore the “P232” in the file name of the puzzle below, thats just my newspaper puzzle numbering which I’m too lazy to change. 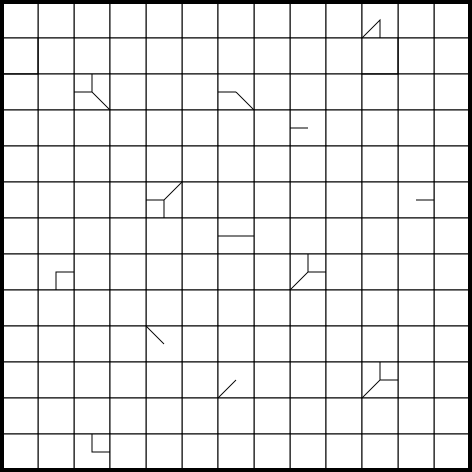 Rules – Shade in some cells such that there are 2 shaded cells in every region and every shaded cell has exactly one shaded cell orthoganally adjacent to it. I’ll categorize it at medium and follow my policy of lifting the Norinori difficulties. Non-Puzzle Post : Birthdays and festivals! I have been slightly unwell for the last 2 days and can’t get much done. The festival of Diwali has been celebrated in India this past week. 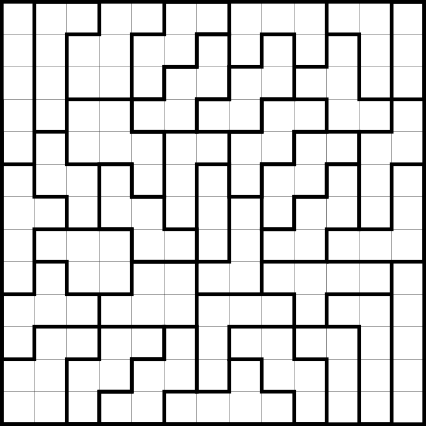 I had an idea for a Diwali themed puzzle, but everyone will have to wait till next year’s Diwali to see that, as its weird to do it and post it tomorrow (which is the earliest I’ll be able to do anything) or later. Also, today is the birthday of 3 people I know. Palmer Mebane, Hideaki Jo, and my dad, were all born on this day in different years. Since the latter one makes it of personal significance to me, I again wanted to theme a puzzle today, but its just not to be. So, Happy birthday to all 3 of you. I’ll resume posting when I’m fine again. In the meantime, you can check out Nikola Zivanovic’s LMI test Word Show, full of word-related puzzles. I’m not great with Word Puzzles. Well, to be honest, I hate them and I tend to not solve them on any test. But here I kinda couldn’t do that obviously. I solved the test, and I actually liked most of the puzzles. I’ll have to take up word puzzles more often.. I guess a common note with this variant would be that its highly restrictive compared to the original genre, but I still think (and hope) there’s enough here to make things flow nicely. I had a lot of thought about the name, but couldn’t come up with anything good. After many suggestions by many of my puzzling friends, this was the one that won my vote. This was supposed to be posted 6 hours ago, but I fell asleep mid-post 😐 Anyway, here it is now. 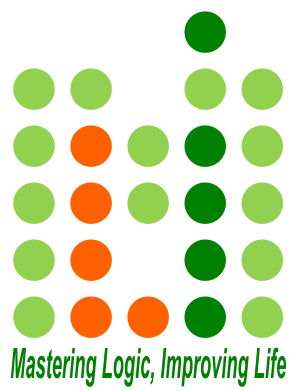 Rules – Shade some cells, so that every shaded cell has exactly one diagonally adjacent shaded cell, and this pair cannot touch another pair in any way (orthogonally or diagonally). Also, every thick outlined region contains exactly 2 shaded cells. Rated : Medium I guess. 1. I was quite busy, what with authoring an LMI test just before the World Championships, and then preparing for the Championships. 2. Since I only started creating this year, I haven’t really created many of the broad categories yet, Latin Square types being one. But then, Deb suggested we can just combine our preferred puzzles and put together a set from India. So the plan was, he’d work on his half while I was in Croatia and I’ll work on mine once the Championships were over. But then, I rarely do start things on time, so obviously, I hadn’t even thought in detail of the types I’d create till one day after my return to India. So my half was pretty rushed, and I was pretty relieved when I got things done. So anyway, here’s the set. I think I’ve mentioned in some previous post that me and Deb co-authored a set for the 24 Hours Puzzle Championship. This Championship was held this weekend, and when I release the puzzles I welcome any feedback on it, including guessing who contributed what puzzle 😛 Anyway, the puzzles themselves will get released in due time, but for now, Congrats to Nikola Živanović for winning the competition this year. Follow regular Heyawacky rules. Additionally, regions having the same number of shaded cells can’t touch each other, even at a point. I promise to use uniform arrow patterns from the next effort, I just wanted to mimic a certain pattern here. Anyway, follow regular Tapa rules. Additionally, black arrows mean there are an even (non-zero) number of shaded cells in that direction, and white arrows mean there are an odd number of shaded cells in that direction. I’m sleepy. I’ll rate this at Easy. 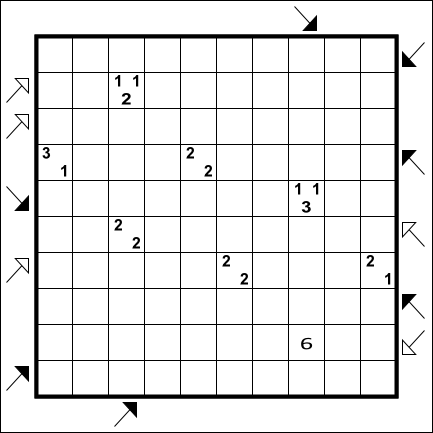 The November edition of LMI Beginners’ Sudoku Contest is here! Its started earlier today, and will go on for a week as is the norm. With last month’s format changes, you can submit the solutions any time over the week and still get half the points at least. This time’s author is Fred Stalder, and its a really fun set including new variants like Outside and No Knight Step, in addition to Classics and 2 of last month’s variants, Toroidal and Consecutive. Follow regular Yajilin rules. 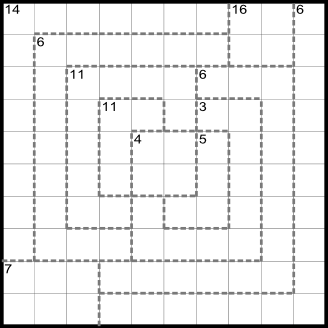 Instead of the number-arrow clue structure, the clues point in the directions (orthogonally as well as diagonally) where the shaded cells are closest. Uniqueness issue definitely fixed. Apologies. Just a reminder, Fugitive Warrant is still open for about 29 hours more. As for today’s puzzle, just felt like it. Nothing special. Follow Nurikabe rules. 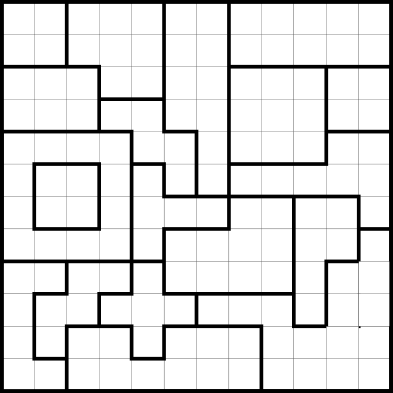 Additionally, it must be possible to tile all of the shaded cells by nonoverlapping 1×2 dominoes. Rated : Just about Medium. This weekend LMI hosts a Sudoku test called Fugitive Warrant authored by Seungjae Kwak and Hwangrae Lee. Its got a nice theme of criminals, a warrant, arrest, and even escape. Some really innovative variants like Jail Sudoku and Prison Break, and some familiar variants like Killer and Little Killer. There’s even a Classic thrown in there at the start. Having given the test I can say that it was quite enjoyable. The test is open for participation for more than 2 days from now. Coming to today’s puzzle, I think its pretty obvious to any regular readers that I like this genre a lot. It was just as obvious to me in Croatia, that, at least a handful of people found the Norinoris on Borders & Beyond really tough. The explanation seems to be that I’m possibly the only author currently who regularly creates and displays these without 2 cell regions, and therefore with slightly difficult openings. So, people who haven’t done my blog’s puzzles/the 4 that got printed in Akil Oyunlari Issue 78 (or maybe Nikoli publications’ puzzles) of this genre faced more difficulty at it than me or my test solvers(both of whom regularly tested my puzzles other than the LMI set) could foresee. Anyway, here I wanted to stop using the L trimino for starts like I always do and I explored another probable start. The start itself isn’t much to figure out, but its a nice pattern and the rest worked out well enough, so here it is. Normally, I would be in 2 minds whether to rate it at medium, but based on past experience, I’ll give it a hard.